Was born the September 14 1961 in Republic Bashkortostan. Has Finished Ufimskoe Pedagogical school 1, on professions teacher drawing and drawing. Has Finished the State Academy painting, sculptures and architectures im. I.E.REPINA ( the Workshop of the professor A.A.MYLINIKOVA). The Member of the SANKT-PETERSBURG branch of the Alliance Artist to Russia. The Adherent реалистической schools painting. Since 1985 participant foreign, international, special and group exhibitions. Was included in creative association CHingishan since 1990 on 1996. In creative asset more than 20 personal exhibitions. 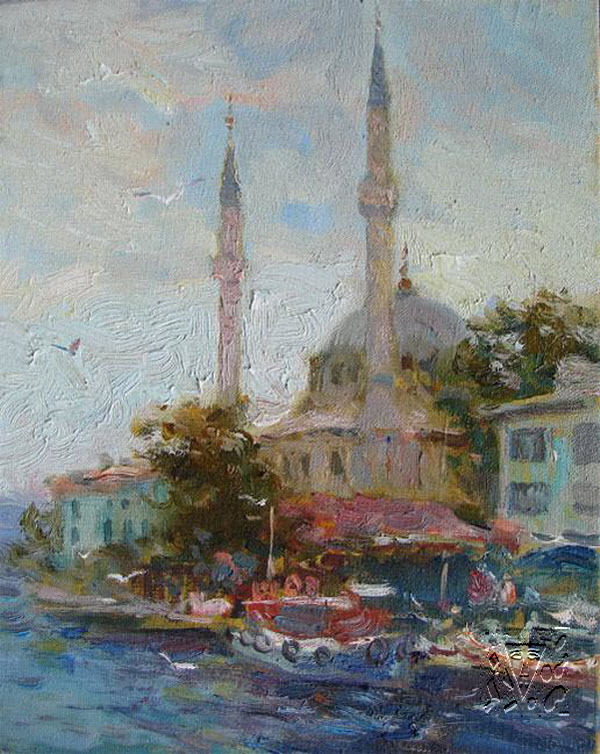 Lives and works in SAINT PETERSBURG and Istanbul ( Turkey). In 2000, on order government this country, was written work in gift president USA B.KLINTONU. The Academic school found the reflection in creative activity of the artist. His pictures differ freshness of the palette, brightness and briskness of the issue of the nature.